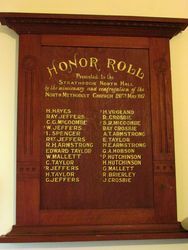 The Honour Roll was presented to the Hall by the Strathbogie North congregation and commemorates those who attended the North School and enlisted in World War One. 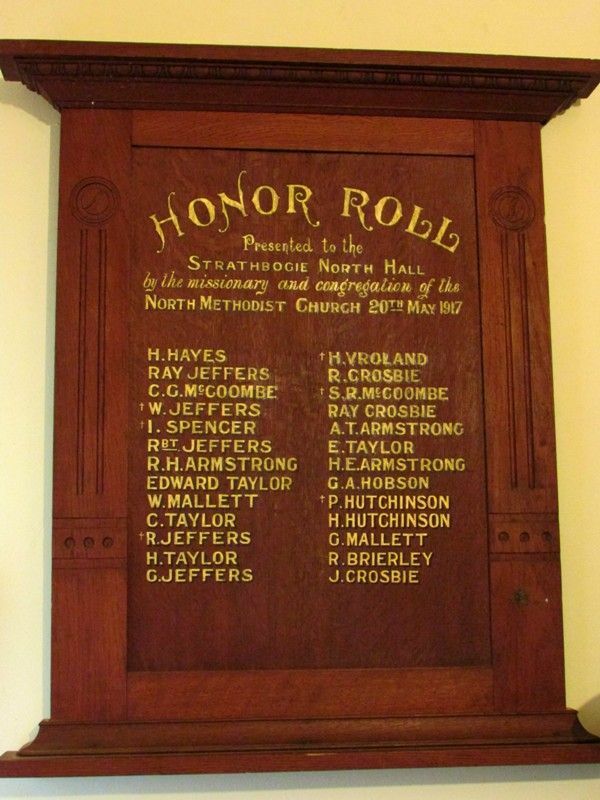 A crowded congregation, which must have numbered at least 300 persons, attended at the special intercessory service at Strathbogie North on the occasion of the unveiling of an honor roll of the district lads who had placed their lives at the service of the Empire in the great war. It was an inspiring and solemn sight to witness such a vast congregation. 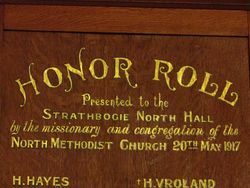 Mr. Dau, the missionary in charge of the Strathbogie circuit, delivered an impressive address at the ceremony of unveiling the beautiful record that, had been presented to the Hall trustees by Strathbogie North congregation, containing the names of twenty-one boys who had attended the North school. Euroa Advertiser (Vic), 8 June 1917.